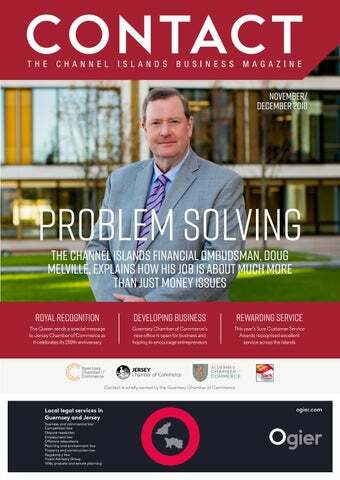 The island’s economy continues to be damaged by under-performing air links, say Guernsey Chamber and the IoD. In a joint statement they say this is demonstrated by the recently reported decline in passenger numbers which do not reflect trends seen elsewhere. ‘Guernsey air traffic has consistently underperformed the UK and other Crown dependencies since 2010. Air traffic is now lower than at any time since 2008, while in Jersey, the Isle of Man and the UK, air traffic figures are higher than at any time since 2008. It seems unlikely that the Guernsey downturn is the result of cyclical factors given the substantial difference between our figures and those in the other jurisdictions with similar economies,’ says the joint statement. They point out that under performance has been especially evident since 2014, with Guernsey posting recurrent declines in traffic while other markets have recorded consistent growth. The organisations welcome the gesture to freeze increases in landing charges but say this is unlikely to rectify the serious issue of falling numbers. Nearly 500 survey respondents made clear recently in a joint questionnaire from both business groups that they believe competitively priced fares are the highest priority to address. The view that fare prices are the major factor behind the decline was also made clear in a Facebook survey in which some 7,000 respondents called for lower-priced fares. The business groups, who collectively employ more than half the island’s workforce, say ‘The current air transport strategy is just not working.’ They believe that the political approach to air links in recent years – which appears to have focussed on minimising the direct cost to the States, rather than on delivering to the social and economic needs of the island as a whole, has led to major under-investment in this area. ‘We need urgent action to address this decline in passenger numbers,’ they conclude.